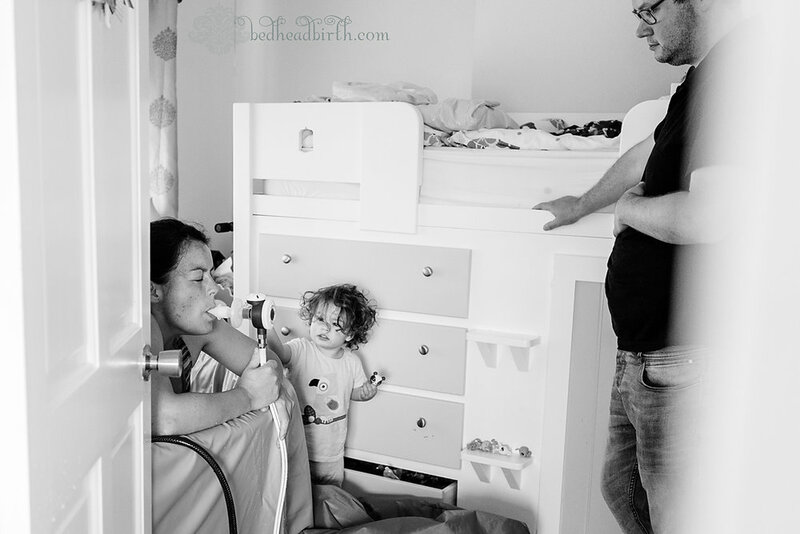 Independent midwives attend the 3rd home birth of a family in Yorkshire, England with family in attendance. I had been apprenticing as a student midwife with the Yorkshire Storks independent midwives for two years and I was scheduled to move back to the USA a few days after our client's due date. She launched into active labor on her due date while my preceptor and I luckily happened to be visiting someone in just the next town over and I also happened to have my camera with me (Yorkshire is large), and she got immediately down to business with us all looking on, me perched above in her eldest daughter's bunkbed, taking notes and photographing. Throughout her short labor, she loved on and mothered her youngest daughter who was born in the same pool and same room, and savored every contraction with pleasure: choosing a lovely playlist, laughing with her husband, and using the portable gas and air to expert effect. This incredible mother has had such a wonderful experience with U.K. independent midwives for her births that she decided to become a midwife herself, and has just started her 3-year training with this little one, now 2 months old, in tow. 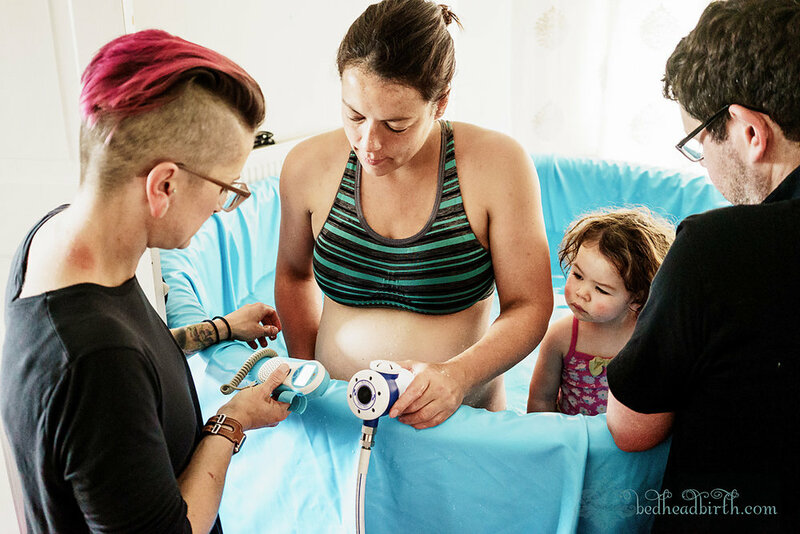 Independent midwifery is currently under threat in the UK and the midwife pictured here is only able to practice because a Yorkshire hospital trust is supporting her and the other Yorkshire Storks to do so. Most of the independent midwives in the UK cannot currently attend a person in labor, though they can still provide prenatal and postnatal care, due to an insurance dispute. They are taking their regulatory body, the Nursing and Midwifery Council, to court in October 2017 to regain their right to practice in the intrapartum.